The condition of the ductwork is crucial for the optimal performance of the entire HVAC system. When this condition is poor, the home indoor air quality will deteriorate and the entire system will become inefficient and use up more energy to work. In some cases, the issue at hand can be resolved with proper cleaning and repair. In others, the best solution is the replacement of the air ducts. Find out when this option is mandatory for achieving optimal system operation and retaining the result in the longer term. No one can tell whether the air ducts have to be replaced without detailed inspection. The purpose of the inspection is to evaluate and condition of the components and to identify any damage and its nature and extent. There are several types of damage which are fairly common. Air leaks are found in almost every network of ducts. 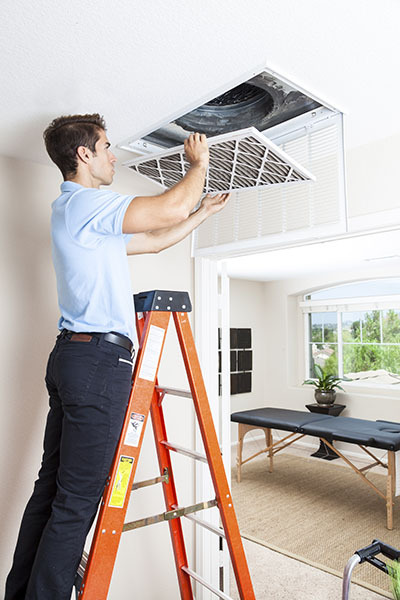 When they are small and just a few, air duct repair is typically sufficient for resolving the problem. However, when there are many of them and their size is considerable, replacement is necessary. Water can cause a great deal of damage especially to ducts made from metal and ones with metal foil lining. If corrosion has begun, new components will be needed. It is equally important for the cause of the water damage to be eliminated. In most cases, this is rainwater that has leaked through the roof of the house. When water is present inside the ductwork, mold is quick to grow as well since the surface is warm while there is plenty of food in the form of dander and dirt. Mold can cause damage to practically all types of materials, especially if it is present for a long time. It has to be eliminated with specially designed UV cleansers. The level of damage will determine whether the air ducts have to be repaired or replaced. The damage caused by pests and especially rodents can also be considerable. In this case, there are often holes of different sizes. The acidic chemicals in the urine and droppings of the animals may also have caused damage. When the damage is extensive, replacement is the best option. Otherwise, the solution will involve repair and air duct cleaning. Sometimes replacement is required simply because the air ducts are not as functional as they are supposed to be. 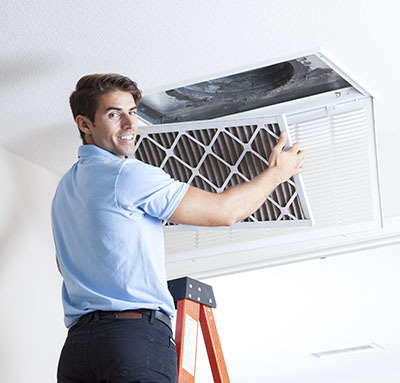 If the components are made from a material which is prone to damage or cannot be properly cleaned and maintained, air duct replacement will prevent future problems. Similarly, if they are already worn and in overall poor condition, there is no point in delaying the change. It is true that the replacement project is a serious business, but you will enjoy the results for a long time to come.